We are a leading Manufacturer of hospital disinfectant, baccishield type silver hydrogen peroxide, d-125 type disinfectant, d-256 type disinfectant, handshield rub type and microsteril type with mecetronium ethyl sulfate from Chennai, India. Chemtex Speciality Ltd. manufactures Hospital Disinfectants which function as a multi barrier to prevent the spread of infections associated to hospitals. It causes execution of disease causing pathogens. Hospital Disinfectants are manufactured in various formulations as per the requirement of various institutions. These Hospital Disinfectants not only help to eradicate microorganisms such as bacteria, fungi, viruses or protista which cause health hazards but also inhibits the reproduction procedure of those microorganisms. Further, they are used for sterilization of treatment rooms after use, keeping machines in better shape and building clean working environment. Chemtex manufactures a wide range of Hospital Disinfectants based on iodophores, quartenary ammonium compounds, silver hydrogen peroxides, peracetic acid, aldehydes and compounds thereof. Chemtex Speciality Limited is an ISO 9001, ISO 14001 and OHSAS 18001 certified company that specializes in the manufacturing of Hospital Disinfectant product. Chemtex's greatest business vitality and strength are its technical and manufacturing knowledge and a well developed technical service team. Chemtex manufactures Baccishield type Silver Hydrogen Peroxide that provides high efficacy in killing of microorganisms in almost all possible applications such as soil, water, air and surface. This combination of hydrogen peroxide and silver is about twenty times more powerful than hydrogen peroxide alone. Chemtex’s D-125 type Disinfectant is a broad spectrum terminal disinfectant. It is used for versatile applications for cleaning and disinfection through-out the dairy, beverage and food industry. The applications mostly include disinfection in OT and other critical areas in hospitals, F&B, and other industries. QAC based Disinfectants have a wide range of activity on bacteria, fungi and viruses. 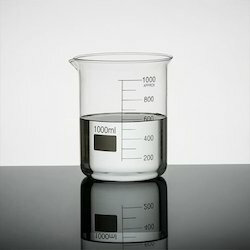 QACs are solids dissolved in liquid solutions. They do not evaporate into the air. When solutions of QACs dry they leave behind a solid residue. QACs can get in the air if they are sprayed or if mixing of solutions results in foaming or splashing. QAC Disinfectants have an important role in preventing infectious disease spread. Health care facilities, day care centers, and restaurants may be centers for transmission of bacterial and viral illnesses where use of disinfectants is important. CHEMTEX'S QAC Disinfectants is a blend of cationic quaternary compounds (QACs) and low foaming surfactants for disinfection and cleaning properties. For OPC operations, CHEMTEX'S QAC based disinfectant should be ideally used at concentrations from 0.1 - 2.0% v/v depending upon the type of application and soiling followed with thorough rinsing with water. OPC (Open Plant Cleaning) of SS, MS, Aluminium, Rubber, Plastic, Fibreglass, etc. Floors, Walls, Food Contact Surfaces, Crates, etc. Chemtex’s QAC based Disinfectant is much like D-256 type, is a broad spectrum terminal disinfectant. 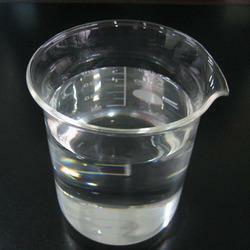 It is used for versatile applications for cleaning and disinfection through-out the dairy, beverage and food industry. The applications mostly include disinfection in OT and other critical areas in hospitals, F&B, and other industries. QAC based Disinfectants have a wide range of activity on bacteria, fungi and viruses. Chemtex manufactures Handshield Rub type Hand Rub with the main purpose of hand disinfection. Hand Disinfection is critical against transmission of pathogens and in a way other nosocomial infections. It reduces the microbial count, and inhibits rapid re-growth of microorganisms. It kills 99.99% of harmful germs within 30 secs. no soap, water or towel needed. Chemtex manufactures Microsteril type with Mecetronium Ethyl Sulfate Hand Rub suitable for hygienic and surgical rub-in hand disinfection. It is used as a ready-to-use alcohol-based rub-in product – independently of water and wash-basin – to prevent infection in all areas of health care facilities where hygiene is important as well as in home dialysis and when travelling. It is a pioneer in the field of alcohol-based surgical hand disinfection. This product provides an excellent immediate effect and a reliable long-lasting antimicrobial activity up to six hours. Hand Rub is not only feels great on the hands, but also increases skin hydration the skin with regular use. kin is a major source of microbial contamination in the surgical environment. The greatest threat existing in surgery is infection, and it’s very important to eradicate the same. Microorganisms transfer from the hands of health care providers to patients and vice versa; this is an important factor with regard to health-care associated infections (i.e. nosocomial infections). Although the scrubbed members of the surgical team are wearing surgical gloves and gowns, their hands and forearms are to be cleaned preoperatively to significantly reduce the number of microorganisms. Chemtex Specialty Limited manufactures Cidex type high level disinfectant formulated specifically for flexible endoscopes and other medical devices. It can be used to disinfect a wide range of medical instruments, made of aluminum, brass, copper, stainless steel, plastics and elastomers. 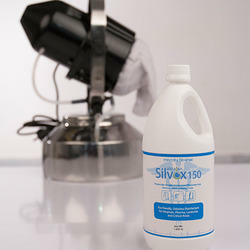 Cidex type disinfectant exhibits excellent material compatibility with heat - resistant and heat - sensitive instruments. It is suitable for all common manual and semi automatic circulation procedures as well as for the fully automatic (cold disinfection) procedure. It is also used in ultrasonic baths. It is also suitable for the reprocessing of instruments made of rubber, plastic, metal porcelain and glass. 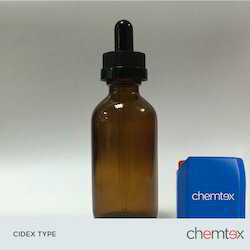 Cidex OPA type, offered by Chemtex, serves as a High-Level Disinfectant designed specifically for use in reprocessing heat-sensitive medical devices. It exhibits broad-spectrum activity against bacteria, mycobacteria, viruses and fungi. Cidex OPA type offers excellent material compatibility, therefore can be used to disinfect a wide range of medical instruments made of aluminum, stainless steel, brass, plastics, copper, elastomers and dental materials. 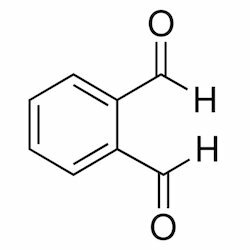 Sokrena type cleaner or Didecyl dimethyl ammonium chloride based cleaner is a fourth generation quaternary ammonium compound which belongs to the group of cationic surfactant. They break the intermolecular bond and cause disruption of lipid bilayer. This product has several biocidal applications. In addition to these applications, sometimes DDAC based cleaner is used as plant strengtheners. DDAC is used for cleaning and surface disinfection such as tables, floor, walls, equipments etc. and also for water disinfection in various applications throughout food and beverage, poultry, dairy, pharmaceutical industries and institutions. A synergic combination of DDAC with ADBAC, PHMB or Glutaraldehyde is ideally suited to be used as aerial and surface disinfectant. Looking for Hospital Disinfectant ?